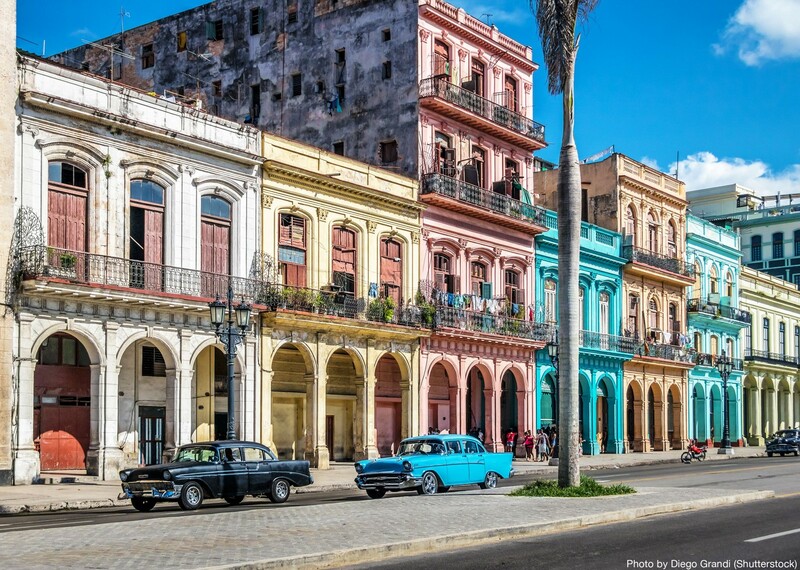 From the moment you land at the airport, Cuba will do its best to get into your soul and you'll go home changed forever! 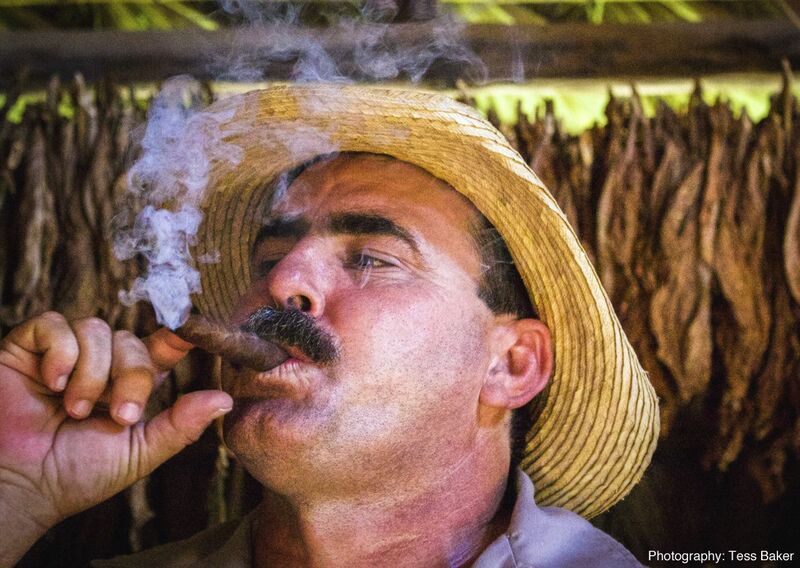 At times frustrating, at times mind blowing, a visit to Cuba will be nothing if not stimulating. 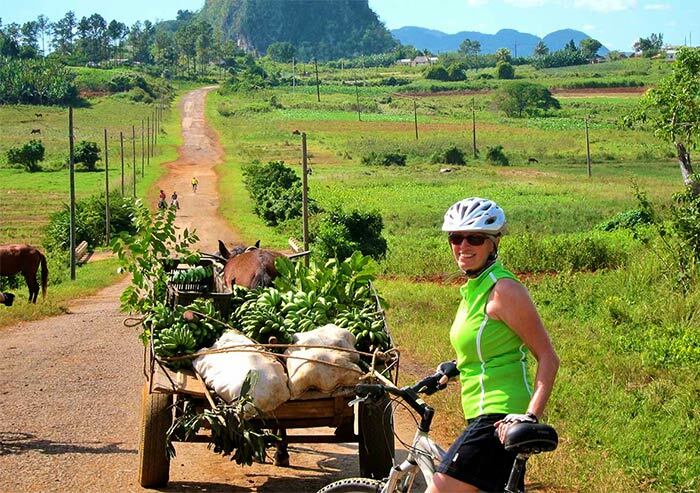 In this one week holiday, we've managed to pack in a fantastic selection of cycling and sight seeing - every day we've carefully balanced the mix of cycling, sightseeing, exploring on foot, relaxing on the bus and soaking up the sights and sounds in one of the incredible towns and cities that pepper the island. 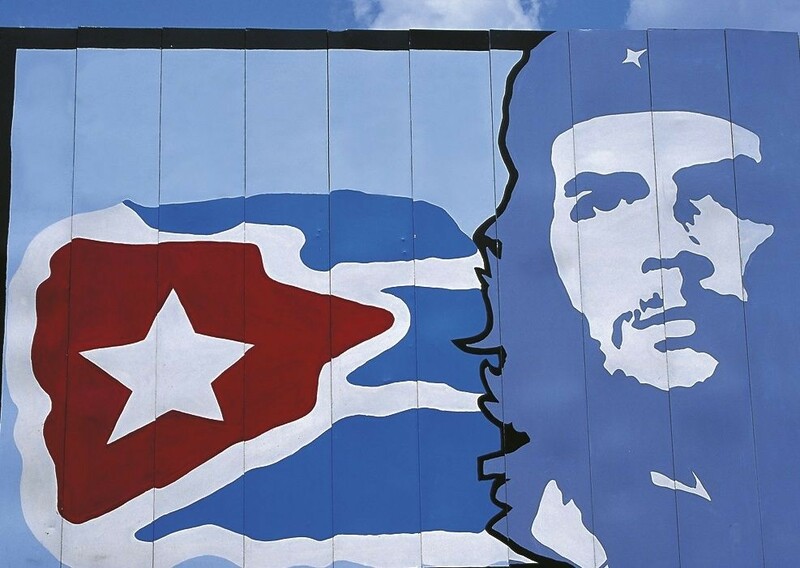 The trip starts and ends in the capital Havana. This incredible city is like nowhere else - beautiful (if dilapidated) architecture, an amazingly eclectic mix of vehicles 1950s American cars, 1980s Russian Ladas, old-fashioned single speed Chinese bikes and the occasional horse and cart), tree lined boulevards and narrow cobbled streets, vast churches and public buildings, hole-in-the-wall cafes and big pedestrianised squares - perfect for people watching. In the background you might catch Salsa and Rumba beats, a waft of fat cigar and the callout from a Santeria priest selling artifacts for a forthcoming Saint's day. 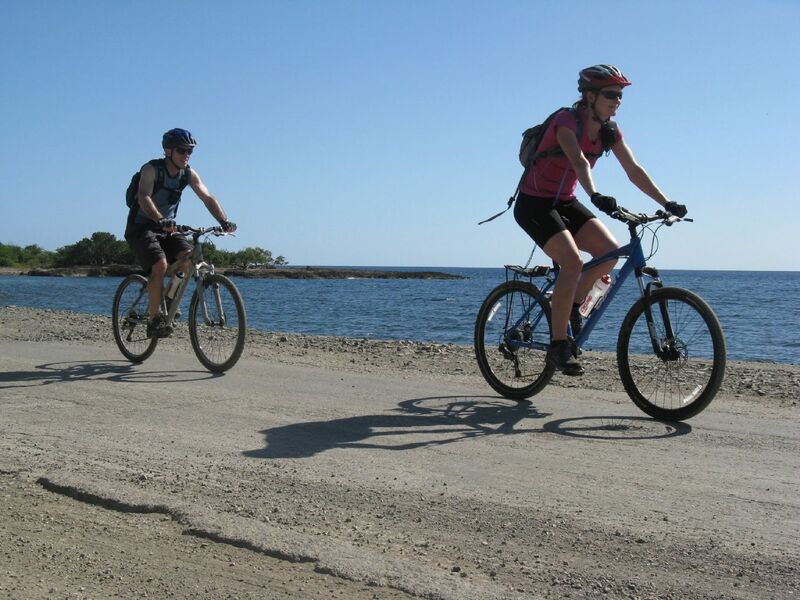 We start by exploring Havana by bike, before taking a transfer down to Santa Clara. 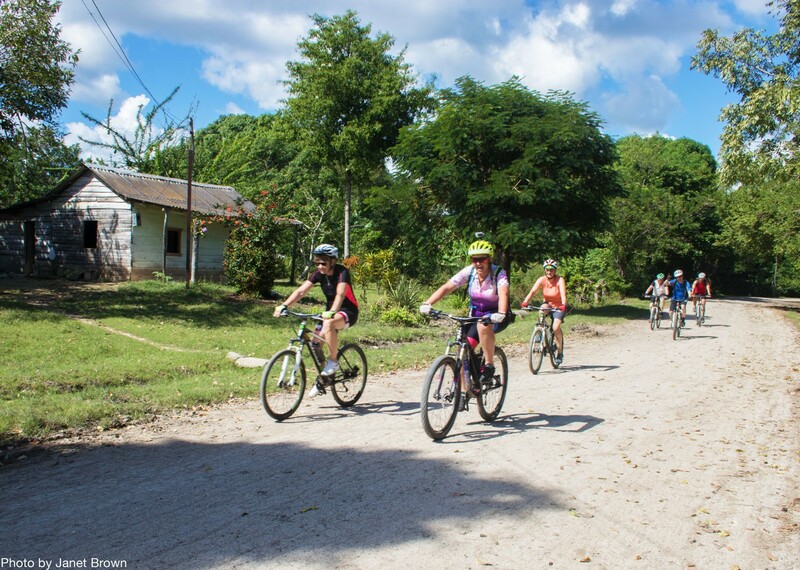 The next morning, we cycle out to explore some of the highlights of Santa Clara, before biking to our next destination, Sancti Spiritus - one of the seven original villas built by the Spanish Conquistadors. Next on our itinerary is the sugar cane capital, Trinidad. 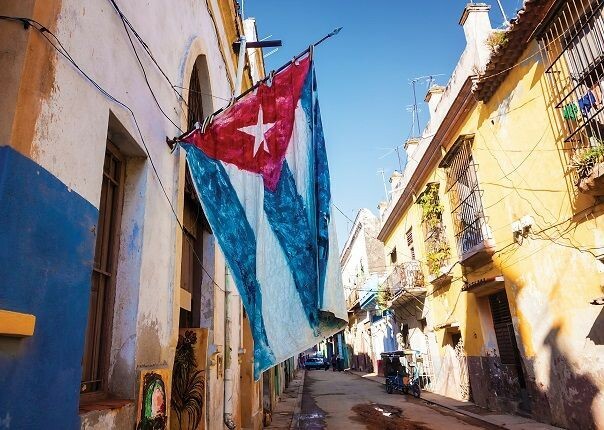 To get a real flavour for Cuban life, we're going to be staying here with a local family in a Casa Particulares (a local home where tourists are allowed to stay). 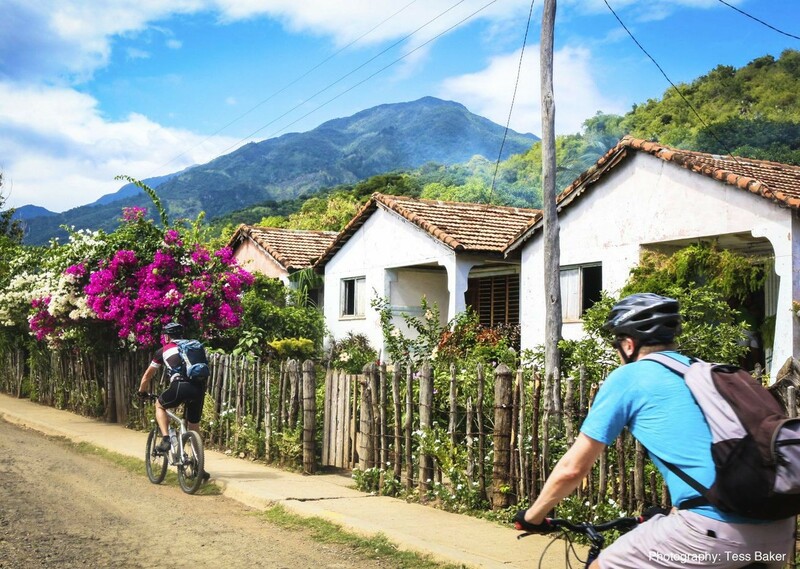 Trinidad is close to an amazing area of coastline so whilst we're here, we're going to spend a day with a lovely cycle to the beach followed by walking tour of the town. 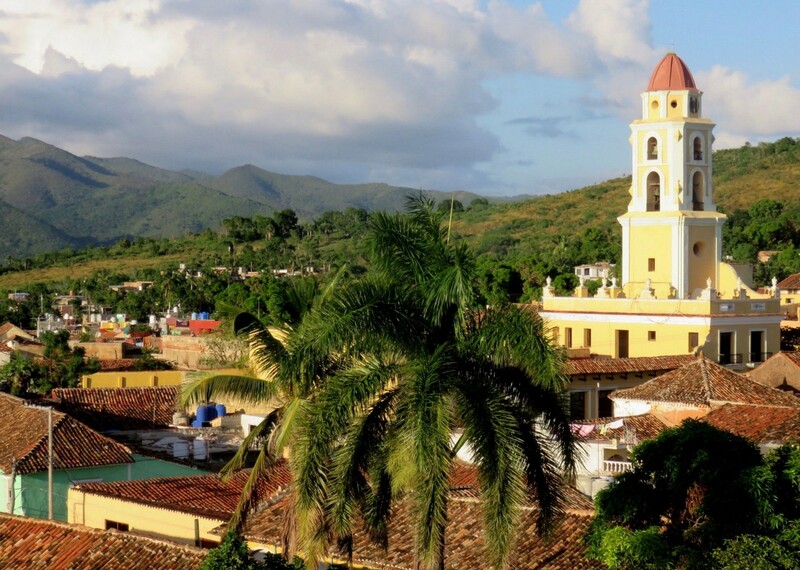 After Trinidad we explore Cienfuegos, "The Pearl of the South", before heading to the small town of Playa Larga, located on a beautiful white sandy beach on the edge of the Gran Parque Natural Montemar. 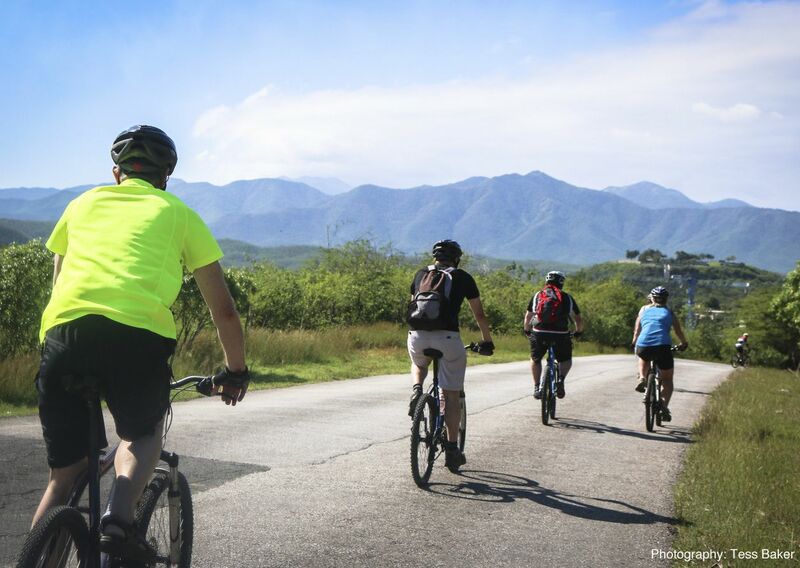 The following morning we head into the National Park on our bikes for some gentle exploration and wildlife spotting - the park is the home to the world's smallest bird, the bee hummingbird and the incredible manatee. From here we return to Havana for an afternoon walking tour of the Old Town before celebrating all the amazing sights and experiences we've had along the way. 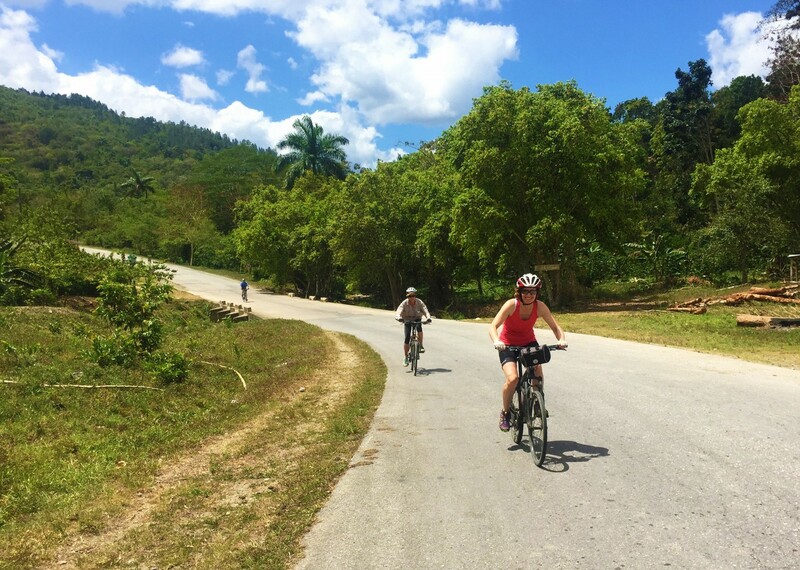 Saddle Skedaddle’s seven night escorted bike tour begins in Havana before heading through beautiful, colonial-style cities. 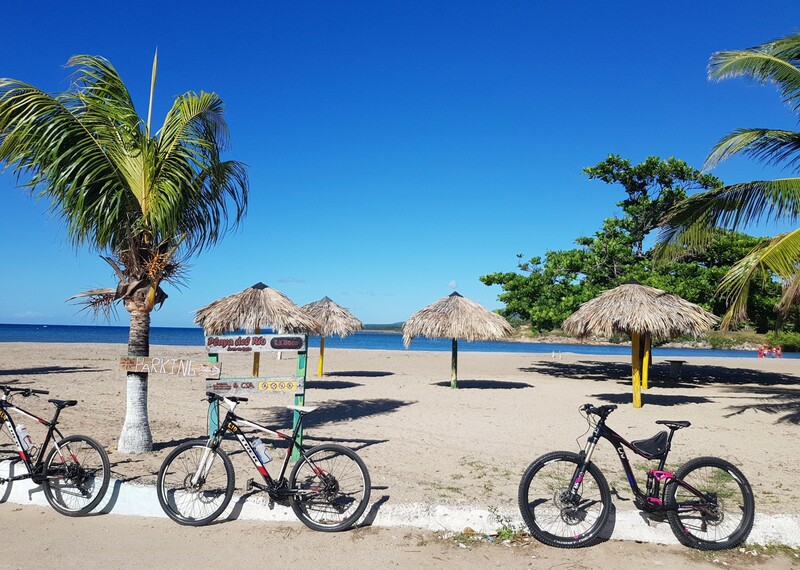 After staying with a local family, you’ll pedal into French flavoured seaside charmer Cienfuegos and finish on the bird-rich Zapata Peninsula. 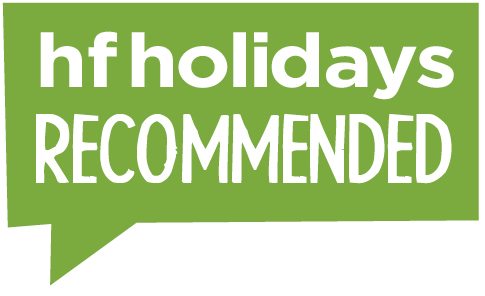 This trip was the best value for money – I would like to do another trip with your team. I’m already planning! Peter from Skeddaddle was great, really easy to be with and very supportive. Our Cuban tour guide, Manuel, made the trip for us. He was great fun, very enthusiastic, always laughing, great with everyone in the group, very well informed about his country – all in all he was an amazing ambassador for Cuba. We wanted to bring him home! 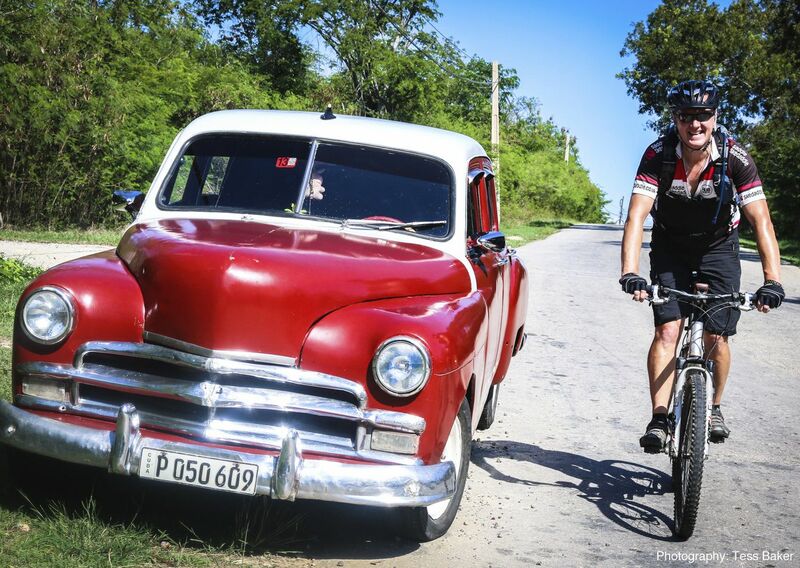 For a sweaty adventure, get a bunch of friends to sign up for a group bike holiday in Cuba. 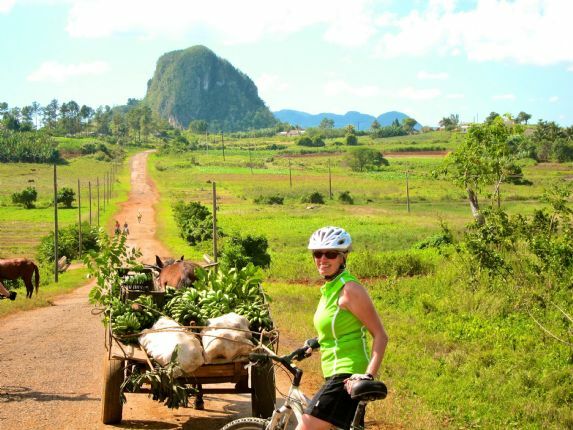 With Saddle Skedaddle, options on the Caribbean’s largest island include Cuban Wheels, a week of gentle/moderate cycling (up to 45 miles a day) between the atmospheric towns of Santa Clara, Sancti Spiritus, Trinidad and Cienfuegos in central Cuba, with time for sightseeing and the beach. Over all the trip was outstanding in an amazing country with breath taking scenery and really warm and welcoming people. The Skedaddle rep was very good and helpful and the guide and the driver were one in a million. Fantastic leadership skills from guides! Manuel the local guide was totally amazing. He was helpful, inclusive, friendly, informative, enthusiastic and humorous. 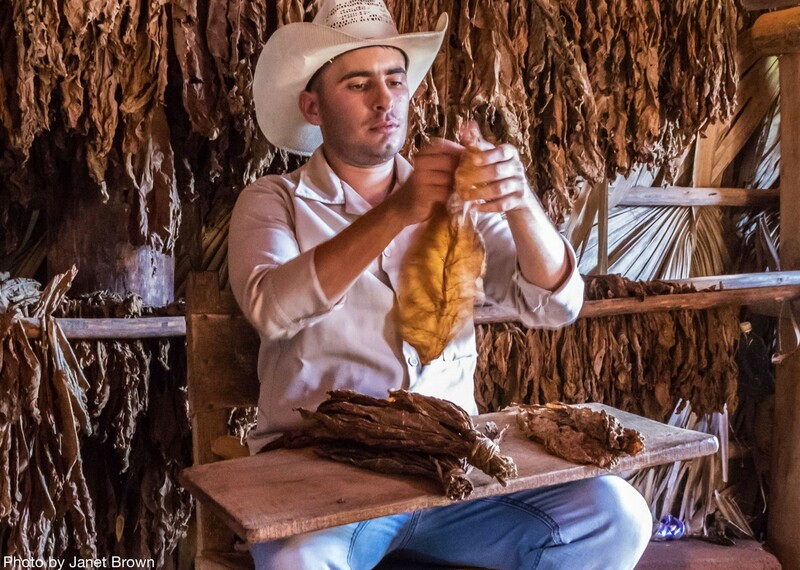 He really made the difference and enhanced the Cuban holiday experience. He is also a brilliant cyclist. Manuel really epitomised the phrase ‘nothing is too much trouble‘. Saddle Skedaddle should employ him permanently. Berto the driver was also a great asset to the holiday. The transport/support vehicle was comfortable and spacious. Plenty room for bikes and customers. It was our first time in Cuba and a great adventure with our friends. We enjoyed meeting everyone else on the trip and loved our guide Eric, bus driver Eglis and Tony from Skedaddle. The coastal ride out of Trinidad was our favourite day. Fabulous views, a fun road, not so much traffic and the crabs weren’t too bad! Also the short ride to the beach in Trinidad. The valley through which we rode from Sanctus Spiritus to Trinidad was also beautiful. 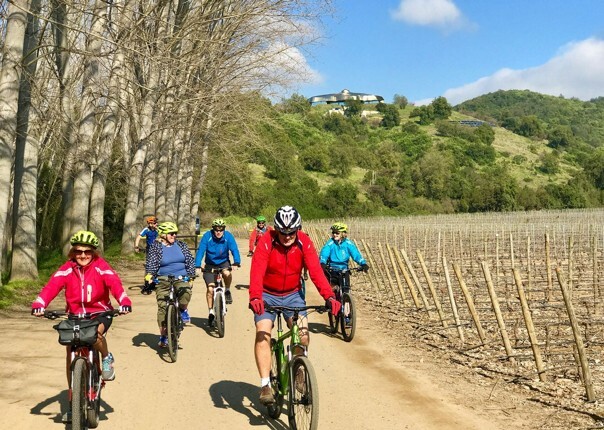 In general we do not join in group holiday tours…...however, we had an excellent holiday and had the opportunity to view the island from a different perspective as you do when on a bike. I’m unable to eat wheat & gluten or fish so always worry a little when travelling. Both Peter and the Cuban guide Manuel were absolutely brilliant and always made sure the food was ok for me to eat which was very much appreciated. 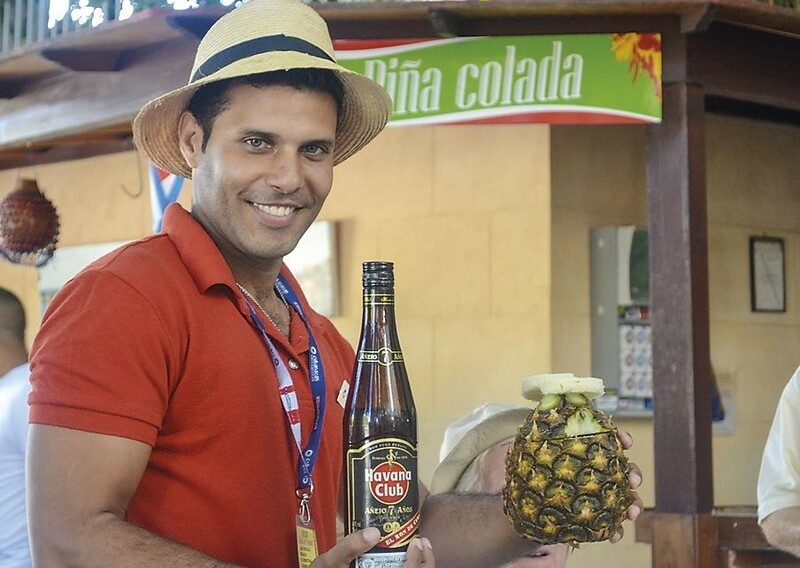 The Cuban guide and coach driver did a fantastic job of sourcing refreshments each day during the ride. Tony was and is an amazing guide, with his knowledge of the country and his positive, can-do attitude, enthusiasm, and dedication to seeing everyone was taken care of and having a good time. The tour leader makes the trip, and He made the trip memorable. 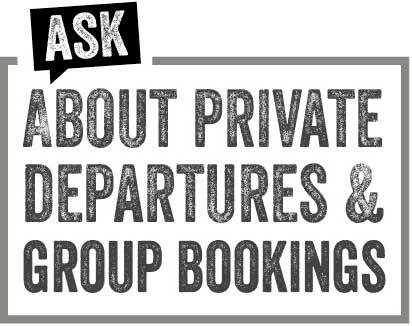 Loved every minute – it was extremely well organised, everything went smoothly, the routes, accommodation and restaurants were all well-chosen and presented a range of Cuban styles! We experienced a real range of food and restaurants. Generally the food was much better than I’d been led to expect for Cuba! I’d say that the hotel buffets were the least good, offering a mediocre quality of food, but the other non-hotel places where we ate were generally great, plus also offering something special by way of atmosphere / location e.g. the sugar plantation house. Best guide I have encountered.. 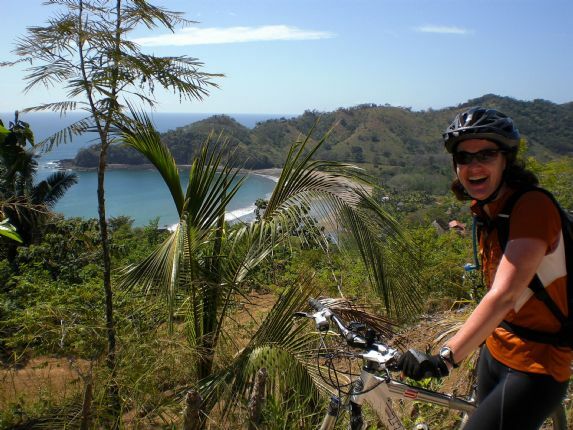 This is my 4th overseas cycling trip and alex was by far the best guide I have encountered. He was intelligent, incredibly knowledgable about all aspects of Cuban history, industry, and politics and passionate about his country. He was patient with our never ending questions and had a great sense of humour. I wouldn’t hesitate to recommend him! Excellent breakfast at homestay in Trinidad. Food was much better than expected, which might be a reflection on my pre-conceptions..! Very good local guide too…thought that he and the Skedaddle guide complemented each other well. 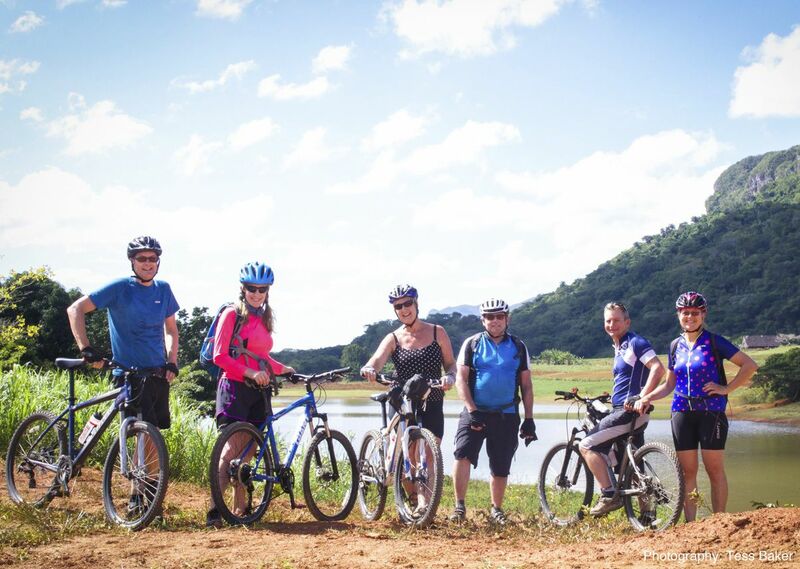 We would recommend this trip to others – it is fairly easy cycling (and we did it in very hot weather!) 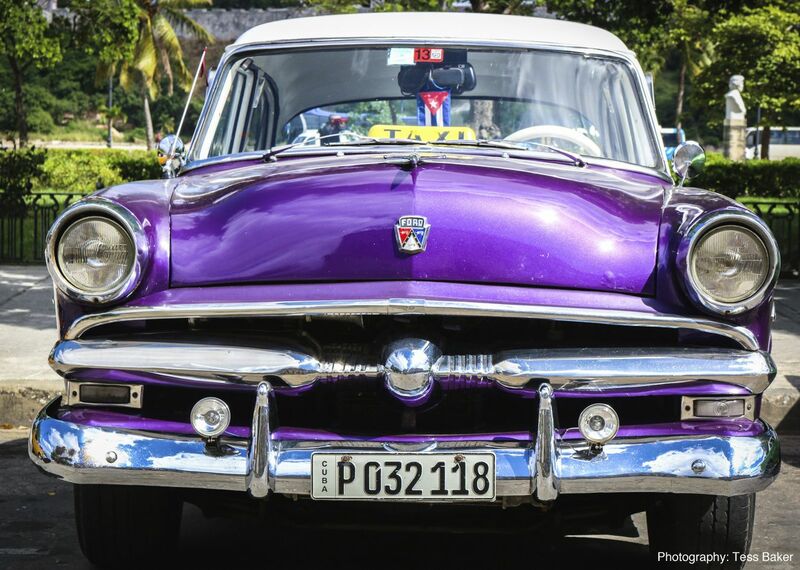 the people, the rural areas, the culture, the music and visiting Havana and Trinidad cities make this a very special experience. Hope to go back again sometime. 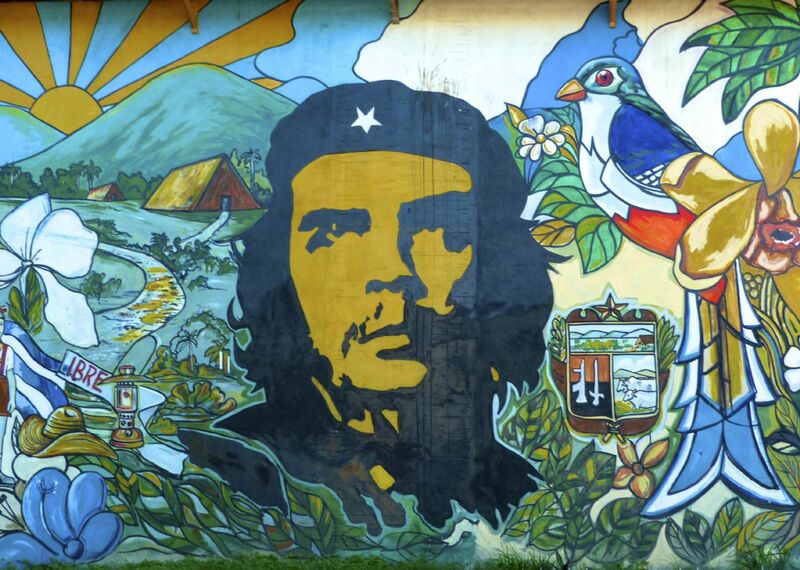 Cuba is a fascinating place to visit.